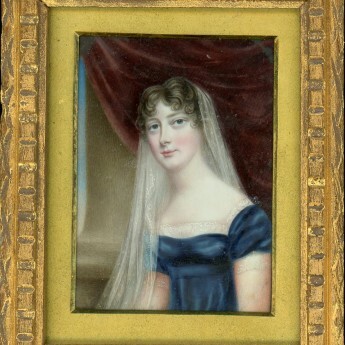 A miniature half-length portrait of an elegant young Regency lady posing by a classical column before a deep red drape. She is wearing a navy blue high-waisted dress edged with white lace and has a finely spotted white veil headdress covering her brown curls. Watercolour on ivory set with a gilt metal mount in a decoratively carved period gilt wood frame. Fine condition. 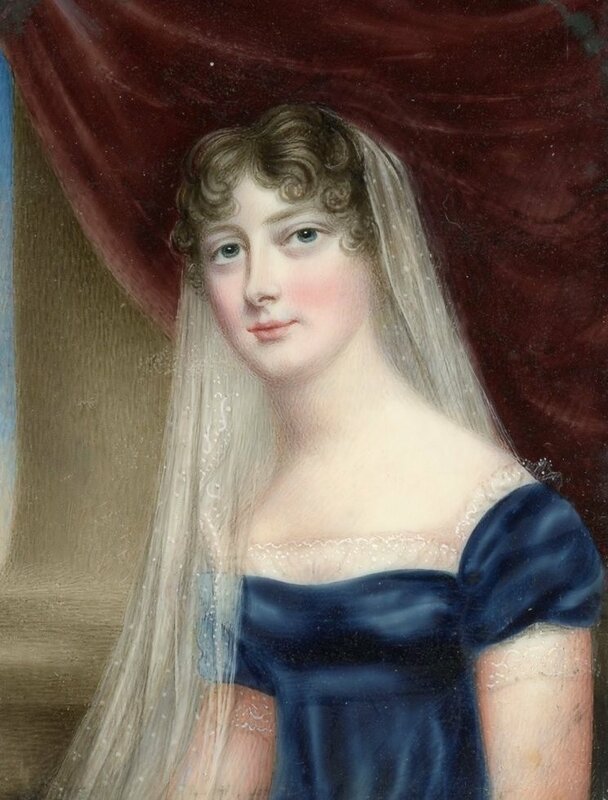 Miss Charlotte Jones took up painting following the death of her father and benefited from lessons with Richard Cosway and the recognition of Sir Thomas Lawrence who promoted her work. 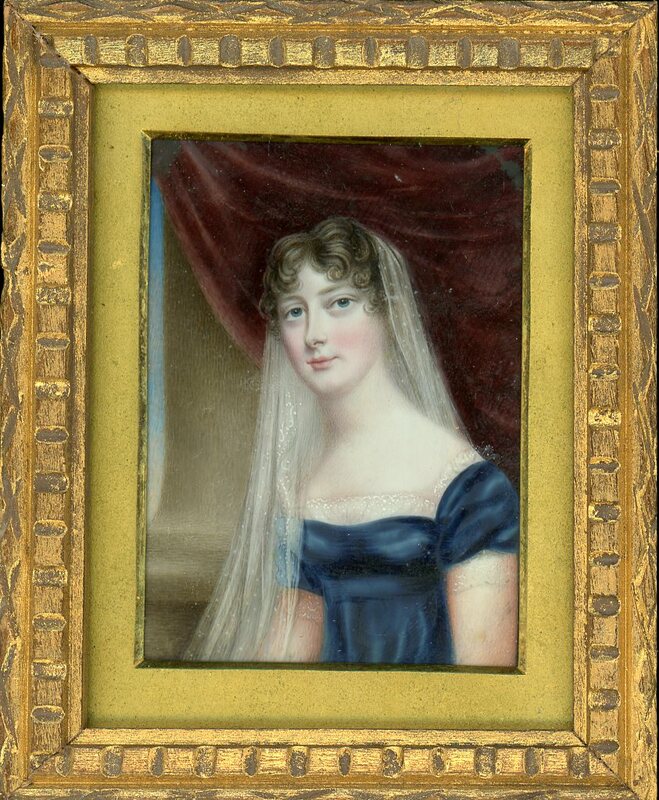 She became a personal friend to Princess Charlotte and was appointed her miniature painter, first painting her in her cradle. It follows then that there are several examples of her work in the Royal Collection.